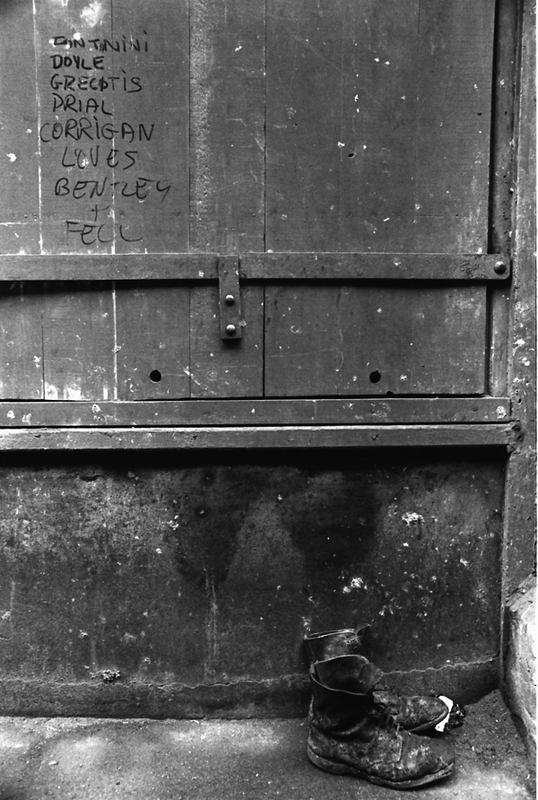 In this final selection from Val Perrin‘s superb pictures of Spitalfields taken between 1970-72, and published now for the first time, I have focussed on his atmospheric photography of the deserted streets, recording the sense of abandonment and dereliction which prevailed at that time. 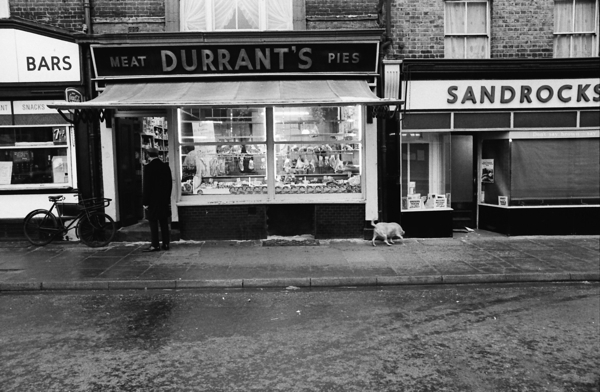 In the early 1960s I used to work washing dishes in Barnet’s in the Lane with Uncle Manny keeping an eye on me. Nearly opposite my late brother started his very successful oriental carpet business selling small cut-offs from fitted carpets that had been taken up and were to be thrown away. The pieces under draws and cupboards were like new. 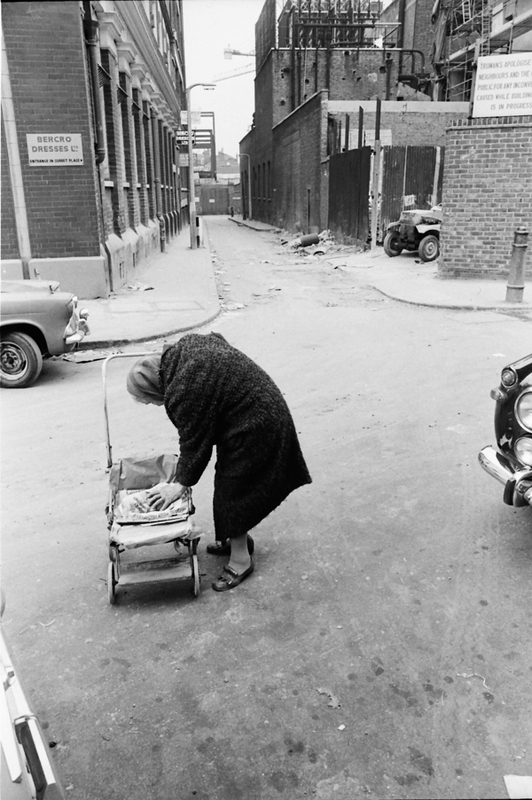 They were sold for car rugs for a few shillings each from two orange boxes that took the place of a wheel-barrow. From these small beginnings to a million pound business. 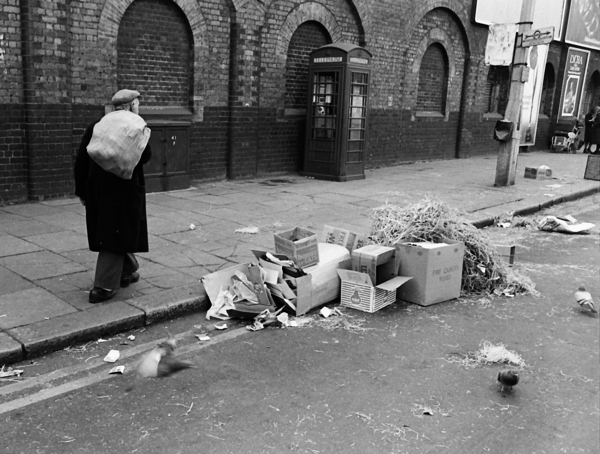 A terrific set of pictures – including the two selections of the market – brimming with character and texture. 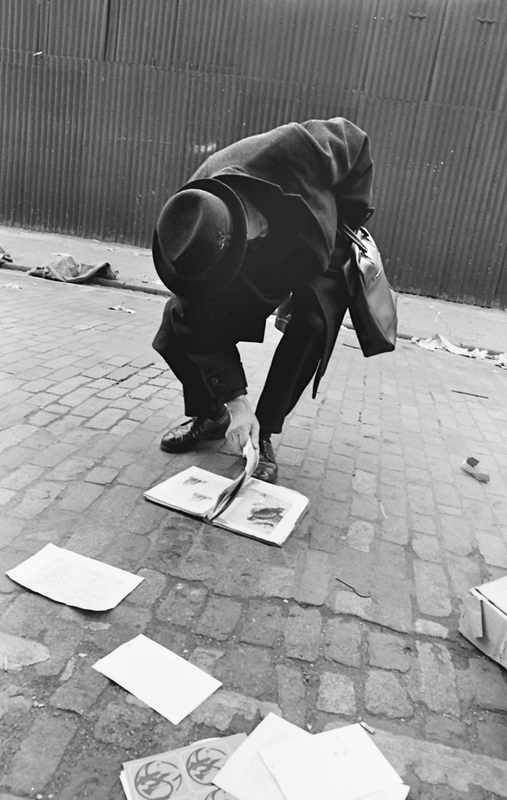 May we look forward to an exhibition, or a book? Even I had forgotten how bad it had become, then. Theses are absolutely brilliant ! Just as I remember these streets when I visited them in the 60′s / 70′s . Well done G .A for “discovering ” them . Powerful imagery – and a great deal of feeling. And, to paraphrase ACHIM, Love & Peace to the good ship SL, and all who sail with her. 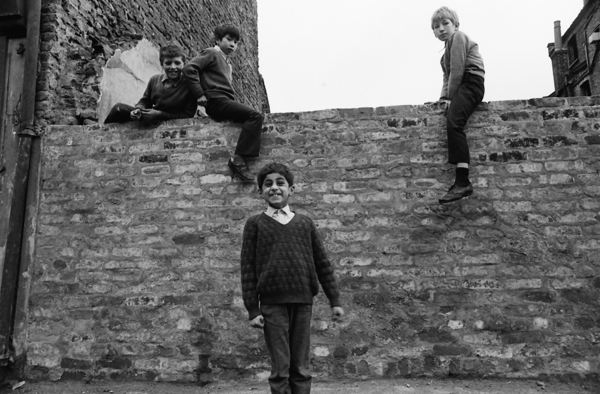 The first time I was in London was the summer of 1967. I was a shallow, callow teenager from suburban Los Angeles. 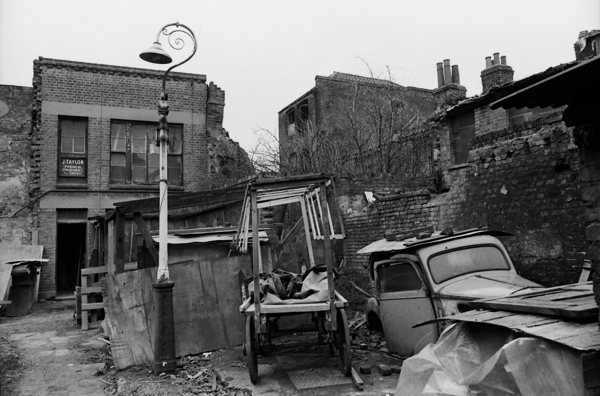 I remember riding on the bus tour of London and looking at the blight left by the Blitz and the post war economic disarray and thinking “But the War was over almost 20 years ago! Why aren’t things cleaned up?” So sad that my own education was so blatantly deficient that I could even entertain such arrogant thoughts. Thank you, Gentle Author, for all your good efforts. And heartfelt thanks to all those folks in the photographs who have big smiles in the face of that hardship. Brilliant pics. I have retweeted. 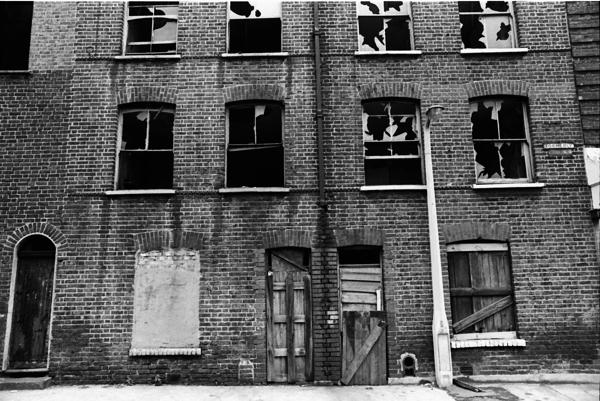 I lived in Wapping in 1981 and it was just like this. 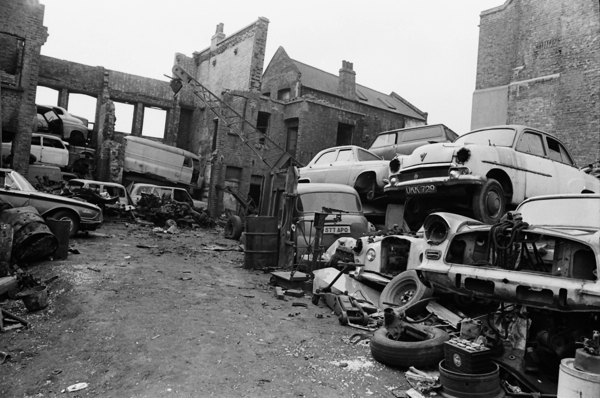 People forget how recently entire chunks of London were horribly rundown, if not derelict. Great pics. 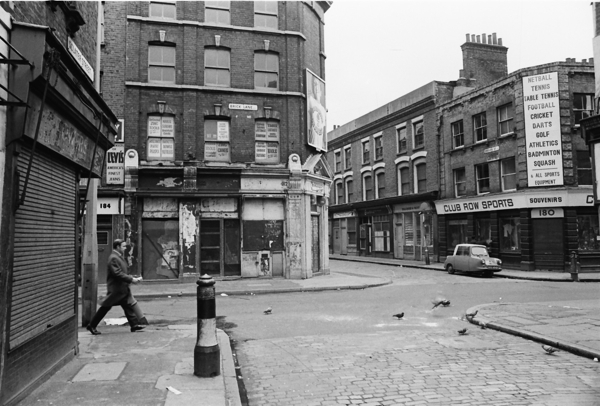 On the other hand, lots of places that were thriving in London at that time are now dumps. A lot of areas past zone 3 eg much of Woolwich & Lewisham town centres. 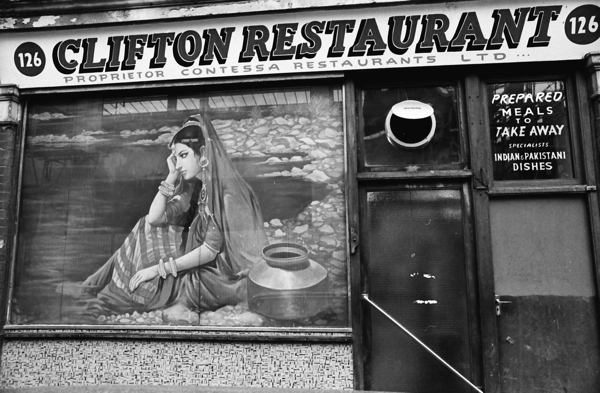 Thanks for publishing these pictures of Brick Lane as I remember it. 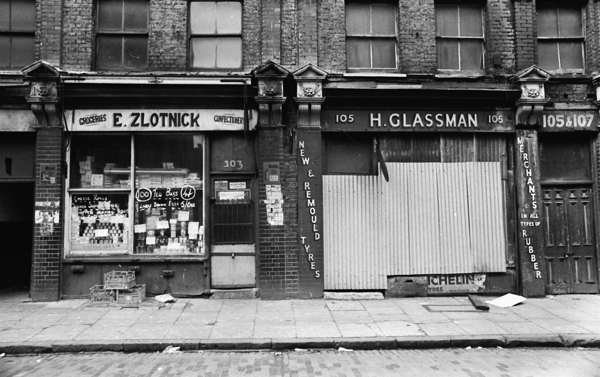 I lived in the area in the early 1970s and still yearn for Kossoff’s cheesecake! What wonderful skilful photography this was and I entirely agree that the photographer has the “eye”. 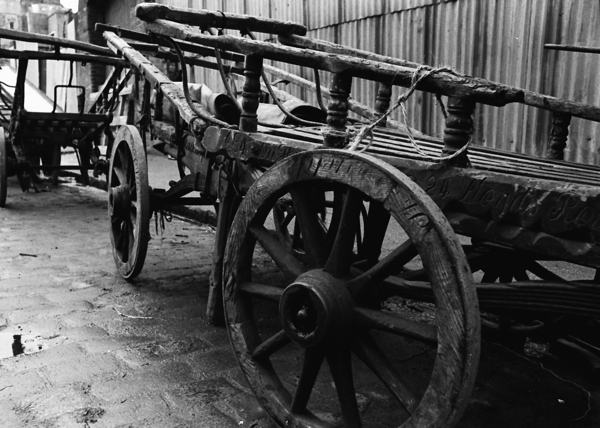 Black and white photography of course emphasises the overwhelming sad and melancholy atmosphere but you still need that eye to compose each shot. I am SO impressed by these that it is hard to find the right words, but, once again, thank you GA for letting us see them. I love the cold splendor of these black and white photos. They’re beautiful. They are very evocative,but could you show them as they appear now,to see how its changed? 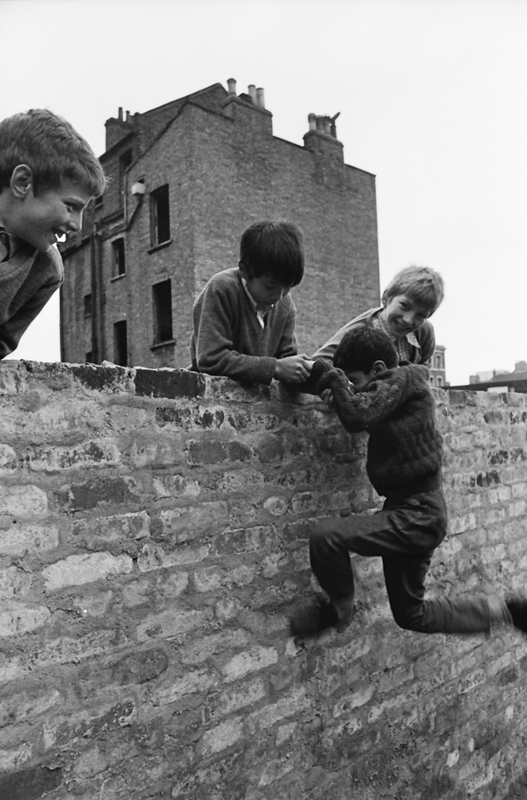 I’m sure the little boy shown in 2 photos (in one he is straddled on the wall and in the other is helping up another boy) is Peter Holt, the youngest of 4 children. 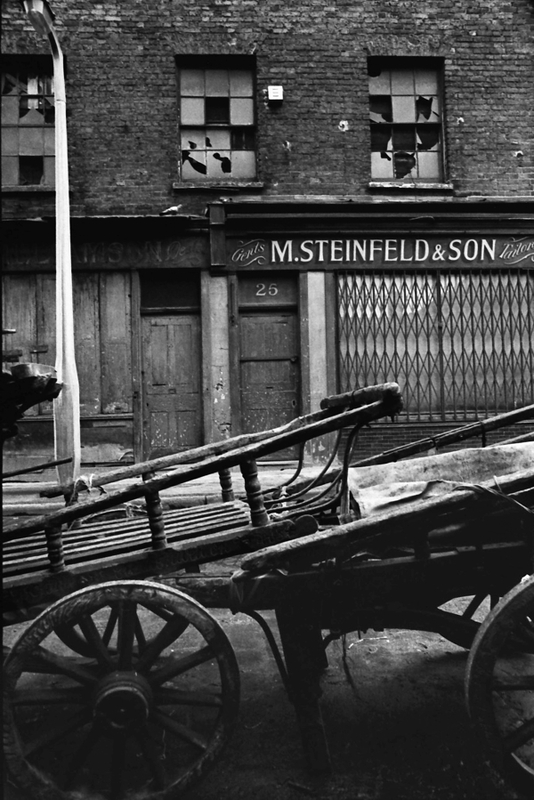 His father had a workshop in Wheler St and made and mended the long, flat market barrows (you can see some in the photos). Mr Holt retired when the market closed. Peter was and still is best friends with my stepson. 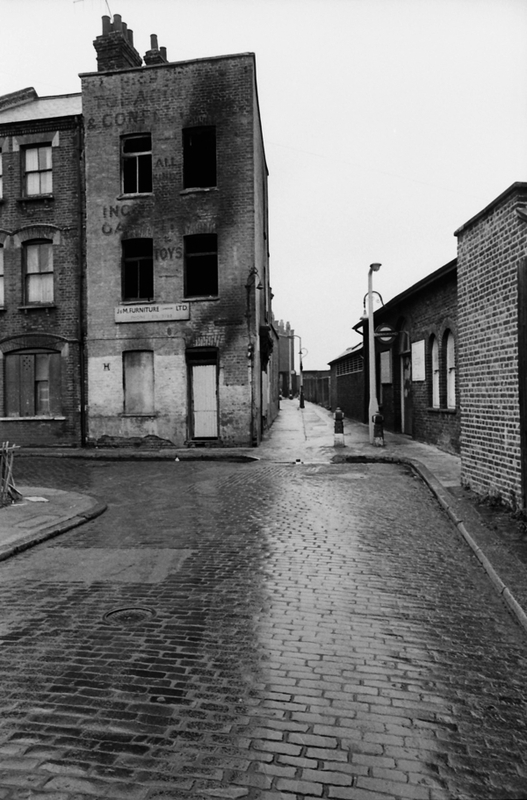 It was Council policy for many years to let the part of Brick Lane between Buxton St and Bethnal Green Rd become derelict as they designated it for light industrial use. 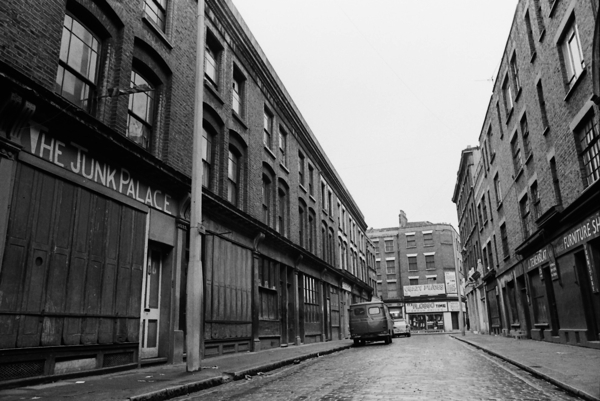 They even knocked down one side of Sclater St to make a lorry park – it was a disastrous policy and blighted that part of Brick Lane. But you need people to make a place living. 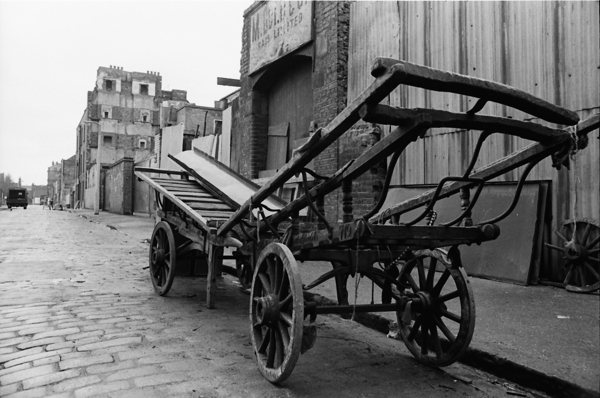 I watched the old Bishopsgate Goodsyard burn down and that was left to rot too. 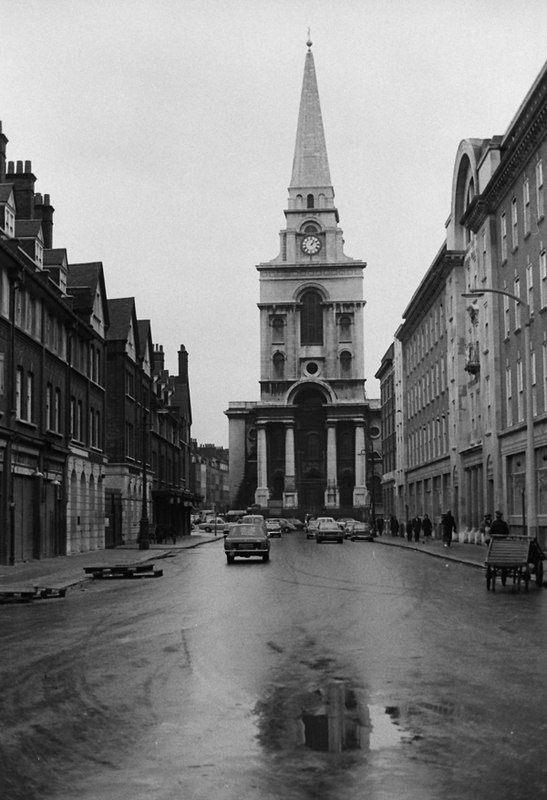 Let’s hope the planners can do something with that site to bring the life back into that part of Spitalfields. 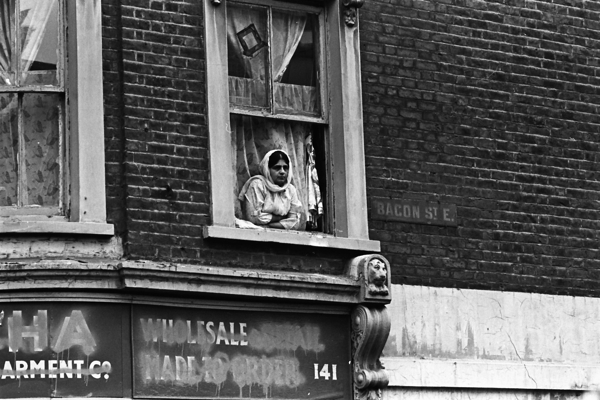 Photos brought back so many memories of living in Bacon Street. I am so pleased that at last these superb pictures have been allowed to escape from the boxes under the photographer’s bed where they have been for upwards of 40 years ! For almost as long I have thought that these pictures were quite good enough to merit proper public exposure yet the photographer was too modest to push them forward in any way. In the past few years my daughter has had custody of some of the prints and has been trying to interest without much success various galleries and museums…..however, when I picked up a copy of the Spitalfields Life book I finally realised that maybe this was the way to get the pictures “out there”, and so it has proved…I am so pleased that they are giving such pleasure to people, and I know that Val himself is equally delighted…..Val Perrin and I have known each other since we started school together in Ealing when we were 5 and we had many joint expeditions around London between the late 50′s and the early 70′s, including a couple of times when I was with him whilst he was taking these wonderful shots….he frequently would “shoot from the hip” so as not to upset or antagonise the subjects and on more than one occasion incurred the wrath of an unwilling subject when they realised that they were being captured for posterity….it was all worth it though, for unrepeatable “living history” is now available for all to see…..
Amazing photos! 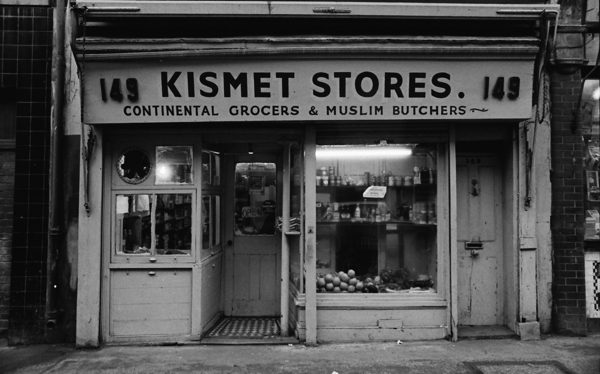 I’m doing a project looking at how these buildings have changed over the years, and Kismet Stores is one of them! If anyone had any information about this store, how long it was in operation for and perhaps was existed there before hand, if would be great to hear from you. 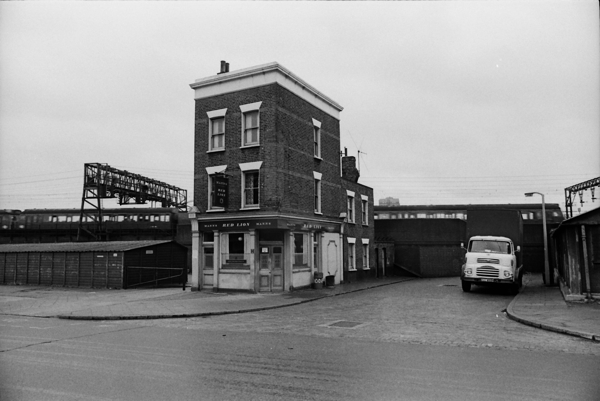 The same for The Seven Stars Pub and the old Jolly Butchers building at 157 Brick Lane.